May 24, 2017 – Grand Pacific Resorts, a timeshare management company in Carlsbad, raised over $34,000 at the 38th Annual Visitor Industry Charity Walk on the island of Kauai. 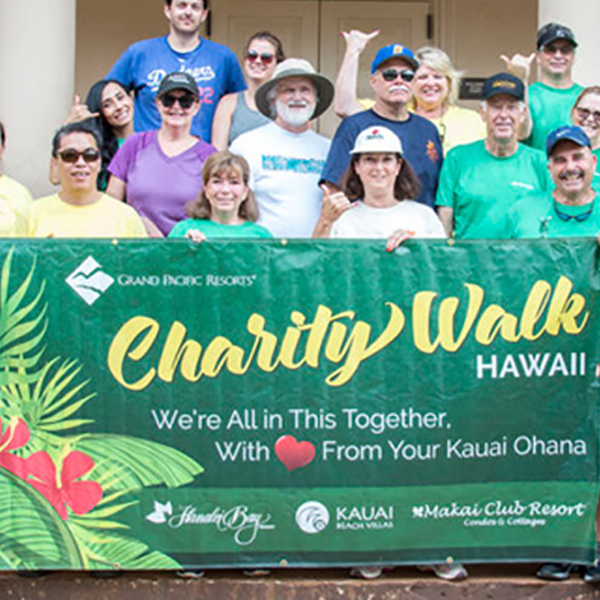 Teams of associates throughout Grand Pacific Resorts from Hanalei Bay Resort, Makai Club Resort to Kauai Beach Villas helped raise money for local charities and also provided walker/runner support and motivation at the event. The Charity Walk, sponsored by the Hawai’i Lodging & Tourism Association, extends its charitable reach to all Hawaii non-profit charities. More than 57 local charities benefit from the walk, including Big Brothers Big Sisters of Kauai and Malama Pono Health Services. Charity Walk operates throughout the Hawaiian Islands, and participants have raised as much as $1.8 million in previous years to help foster a better Hawaii. 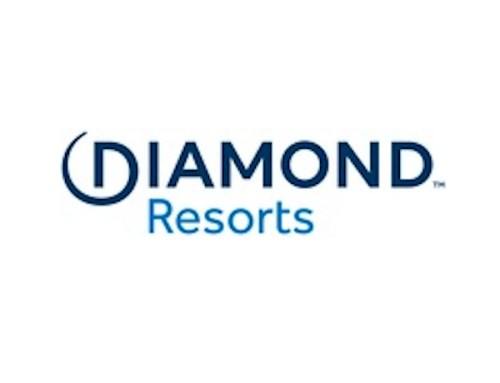 Along with team members requesting sponsorship in the form of donations and participating in the 2.9-mile Charity Walk, Hanalei Bay Resort also sold 200 lunch plates to guests, sold resort-branded Charity Walk t-shirts, held a silent auction and held a tennis tournament. All proceeds of each effort benefitted the Charity Walk. Team members from Makai Club Resort and Kauai Beach Villas also supported the Charity Walk by servicing an Aide Station, which provided refreshments and cheerful motivation to walkers and runners during the event. Special recognition goes to Lillian Watari, Guest Services Manager at Hanalei Bay Resort. For the past 10 years, she has generously given her time to support community events like the Charity Walk. For the fourth year in a row she has received the “Gold Slippah” award for being the top Charity Walk individual fundraiser – she, alone, raised more than $17,000 this year as an individual participant. Watari continuously rallied supporters at the resort, and within the community, helping her team raise over $34,000, placing Grand Pacific Resorts as the top contributor to the cause. Grand Pacific Resorts is proud of the teamwork that went into raising over $34,000 and the levels of support team members provided to Charity Walk, making it a truly unifying event. Grand Pacific Resorts creates experiences worth sharing for more than 70,000 owner families and tens of thousands of loyal guests each year. Based in Carlsbad, California, the resort management company tailors its services to preserve the distinctive experience offered throughout its 20 properties in California and Hawaii. Owners and guests vacation with Grand Pacific Resorts year after year because they appreciate the team’s heartfelt service culture and passion for hospitality. For more information, visit GrandPacificResorts.com.